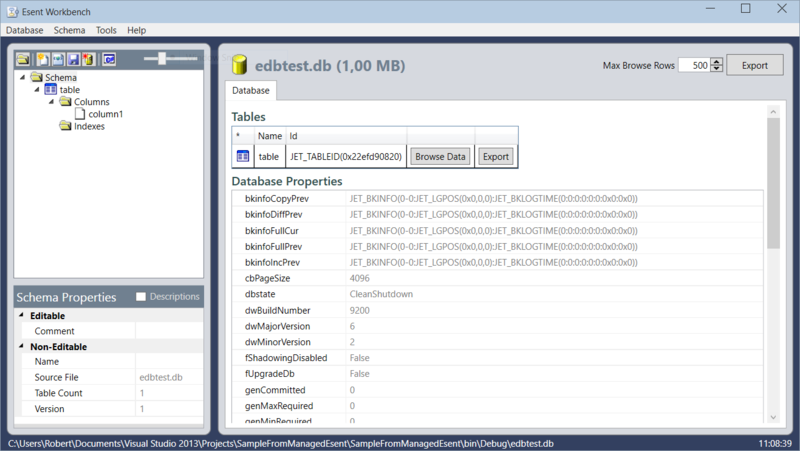 I already blogged about the ancient old ESENT Database, which is still supported and will also be available in Windows 10, so you are safe to use it. Also the ManagedESENT project is alive and somewhat in active development. 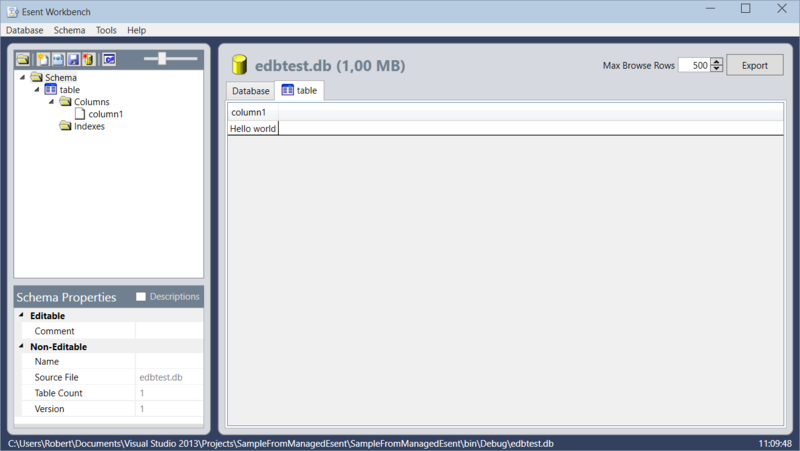 With the ManagedESENT project you can store your data inside a ESENT database very easy*, but what if you want to look inside the ESENT database? * … well… the interface is still awkward for a C# dev, but it is possible to build a nice abstraction around it. Here can you see a sample from the project. I found a very promising OSS project called ESENT Workbench. You can build the source yourself or just use the release. Hope this helps and if you know any other useful tools around the ESENT database just write it in the comments.